Friday food is a weekly article about one of the more unusual food items to be found in Liuzhou that week. This week, we go back to the fruit and an example of one in season right now is ginseng fruit. 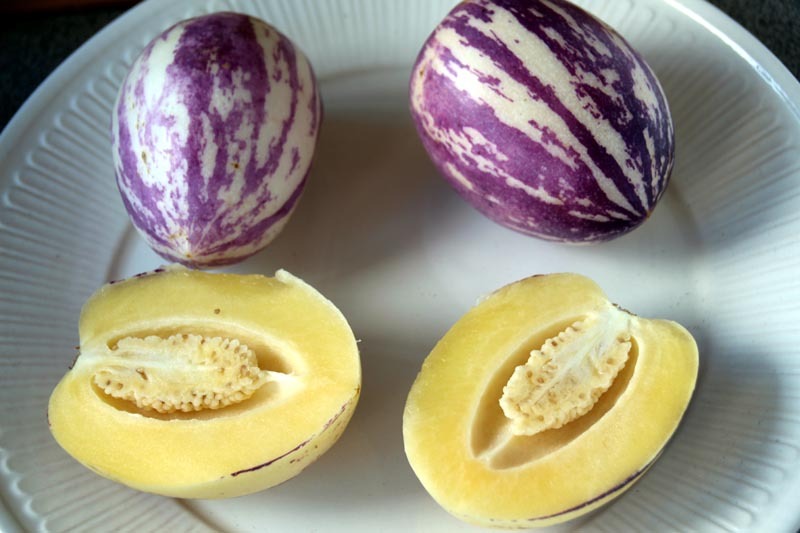 Known in Chinese as 人参果, is also known as pepino dulce and is the fruit of a tree (Solanum muricatum) native to the Andes, but now grown widely in tropical Asia, too. The name “ginseng fruit” is a literal translation of the Chinese name. The fruit is not related to true ginseng. 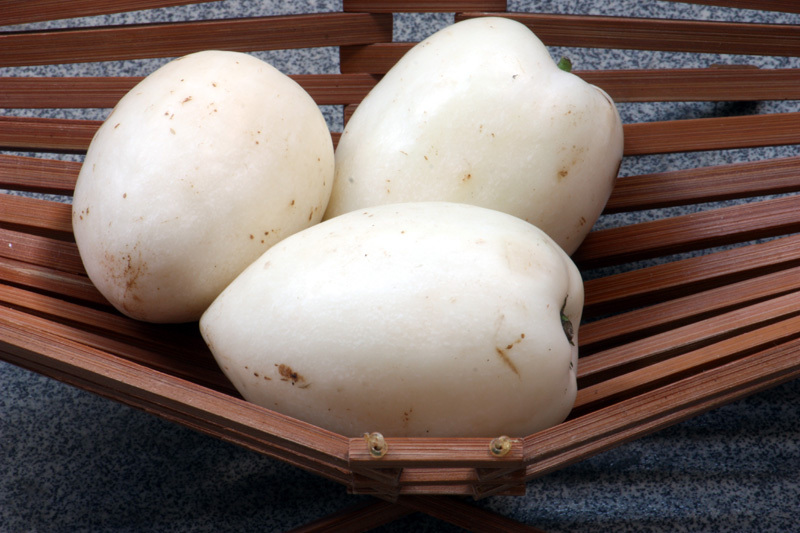 The fruit is about the same size as a large plum and has a sweet flavour reminiscent of melon and cucumber. They are available in all Liuzhou supermarkets right now. The fruit starts out white but develops characteristic purple stripes when ripe.
. This entry was posted on Friday, February 24th, 2012 at 10:10 am	and is filed under Food and Drink, Friday Food. You can follow any responses to this entry through the RSS 2.0 feed. Both comments and pings are currently closed.